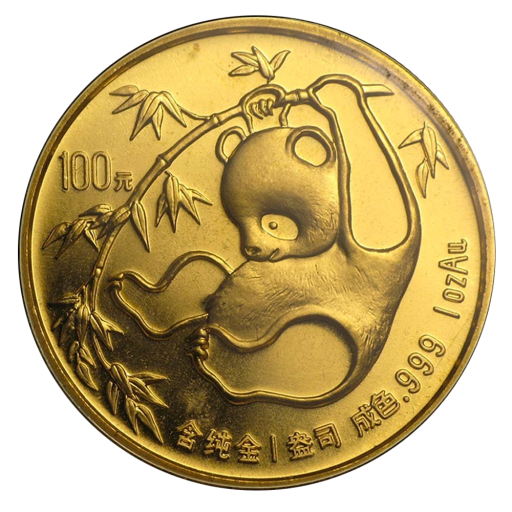 Don't miss the opportunity to add the beautiful 1985 1oz Chinese Panda gold coin to your collection. Launched in 1982, the Gold China Panda was primarily aimed at the Chinese market. Today, the Chinese Panda is one of the world's most popular investment coin series and early editions like this 1985 Gold 1oz China Panda are very much in demand. The China Panda bullion coin series was launched by the Government of the People's Republic of China following the success of other international coin collections like the Gold Krugerrand. Although it was initially aimed at a home market, its highly appealing annually changing Giant Panda design and its gold content soon brought the coin to the attention of collectors around the globe. Today, options to purchase Special Gold Coins like this 1985 1oz Gold Panda are increasingly rare. Thanks to their limited availability at the time of issue, demand for these beautiful gold coins has risen dramatically. The coin is valued for its annually changing reverse design as much as its .999 purity. The 1985 Gold China Panda is one of the most charming examples with its stylised image of a Giant Panda cub swinging from a bamboo branch. As it does to this day, the coin's obverse depicts the Hall of Prayer in the Temple of Heaven in Beijing. The revered Temple is a UNESCO World Heritage site and it stands on the original spot where ancient Ming and Qing Dynasty emperors once performed Heaven Worship Ceremonies. Order with coininvest.com today to ensure that the exquisite 1985 1oz China Panda gold coin becomes part of your collection. Don’t forget to add one of our customised display cases to your order to protect your coin and show it to its best advantage.